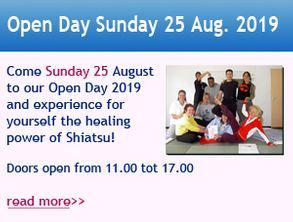 (the N.S.K.S., Nederlandse School voor Klassieke Shiatsu)!! The N.S.K.S. 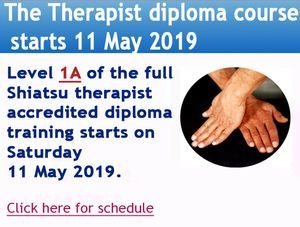 first opened in 1987 and provides a four-year Higher Vocational Education to become an fully accredited Classical Shiatsu therapist. The school is certified and accredited as a Higher Vocational Education (HBO level) and training institute by the accreditation institute K.T.N.O. and professional associations B.A.T.C., LVNG, VBAG, NWP and N.V.S.T. Post-graduate courses are accredited by the Zhong. You are visiting the English version of our site for the Dutch School for Classical Shiatsu which has been made for people who feel more comfortable with modern easy English and are used to getting around easily on the web. It is not as full or complex as our main website but we hope that the speed readers will enjoy this site with it's easy overview and integrated audio visual media. We would love to hear what you think and there is plenty of room for comment. Since we have become more internationally oriented, and our teachers all understand and speak English. You may find that coming to visit us in the Hague in the Netherlands can be quite a good decision - but have a look around first and see what you think! Shiatsu - A source of 5000 years of Oriental study, self-knowledge and feeling; a foundation for all "modern" health problems. More than complements Western knowledge. We prove what we state in practice.